the sweetest thing...: MFTeaser | Day 4! You can attend the New Release Party on July 3 from 8-10 PM EST HERE in the MFT forum, where you can enjoy fun, games, and PRIZES! The MFT release, including all new stamp sets and Die-namics, is on July 3 at 10 PM EST. You'll find all the newest products HERE at release time. The guest designer contest is ON! Check out the forum for details on how YOU can win $200 in stamp sets and Die-namics, and play along with the MFT Design Team for a month. If you'd like to see all the teasers for today, please click on over to the MFT Blog NOW. Be sure to leave comments as you go for the chance to win one of 2, $10 gift certificates given away daily. The winners will be posted on July 3 just before the release party, on the MFT blog. Welcome to day FOUR of MFT Teasers! 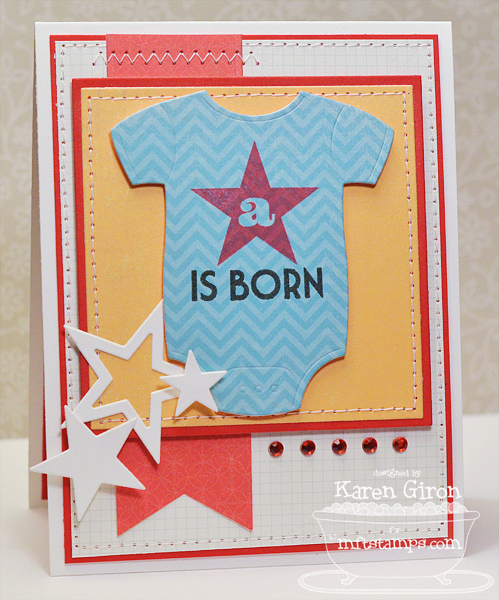 Today, I'm showing a little sneak of Baby Onesie Die-namics and Stamp Set. Love, love, LOVE this baby onesie! For this card, I'm using So Happy Together papers from Echo Park. I cut out the baby onesie with the coordinating Die-namics die and then stamped the star in Colorbox Warm Red chalk ink and the rest is in Brilliance Graphite Black ink. I added some Stacking Stars Die-namics in white cardstock as well as my beloved Fishtail Flags STAX Die-namics. 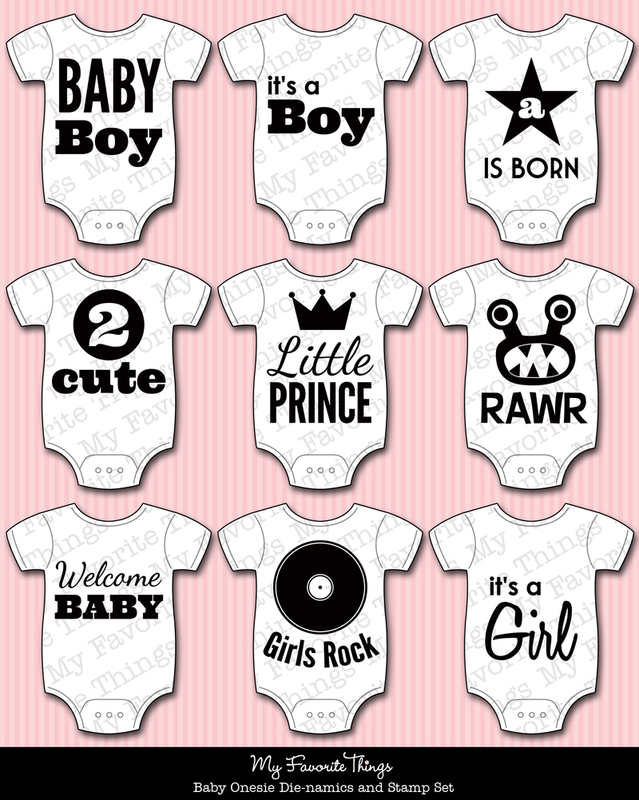 On the inside of the card, I used the negative die cut from the onesie and stamped inside. Be sure to stop on by the MFT Blog for a complete list of all the designers playing along in today's Teaser. Very cute! Love the A Star is Born Sentiment. Cute card! I like that you used the negative and stamped inside. cute card. I love the negative on the inside. Great card! 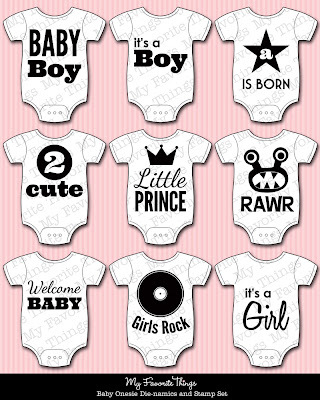 Love the onsie die and stamps! great sentiments! A fabulous release so far. Love that little onsie dienamic. love the fresh clean feel of this one. sooo cute! Hi Karen!! Your card is adorable! I think I NEED this set!! Cute card!!!! The inside is sweet too!!!! super cute. The stitching adds a lot too! So sweet and adorable Karen!! I love the crispness of your card! LOVE IT! Such a sweet project Karen! oh SO CUTE!!! love, LOVE that onesie die-namic!!! So creative to use the positive and negative - love it! LOVE the cut out inside of card. brillant idea. Cute cards. This set is so precious, and versatile. Such a cute card! Love how you used a negative cut on the inside! The Taylored Expressions Release Party Continues! Sweet Sunday Sketch Challenge 161 + Casting Call! Key Ingredients Blog Hop - A Delightful Deal!